Birmingham City announced today that Gary Rowett was to depart the club with immediate effect along with his backroom staff. The board confirmed in it’s statement that it’s not been an easy decision to make, and that TTA were looking to take Blues forward into a bright and exciting future. I think I’d be making the understatement of the year to say that this has not gone down well on social media. Messageboards have been in meltdown, Twitter has gone into overdrive and Facebook is full of fans frothing at the gills. In some ways it’s funny – the same fans who have been promising on Facebook they’d build a statue of Panos are now calling him every name under the sun. Such is the fickle nature of football. I can’t say I was surprised by the decision. I’d heard a whisper on Saturday that all was not well – and if I think about it, I should have realised Rowett not doing the presser post-match last night was the giveaway. The fact Gianfranco Zola looks a done deal should suggest that this isn’t a snap decision but one that has been thought about for a while. In some ways, the completion of the Trillion Trophy Asia takeover was probably the worst thing that could happen for Rowett. All of a sudden all the backroom crap was over and now the focus is on the pitch. Instead of staying in Hong Kong, only emerging to go to court or make pissed up rants on messageboards and/or Facebook, we have directors who are regularly at games – and I don’t just mean Panos. TTA have had representatives at least the last few games and the bloke I met in Hong Kong – Jerry Yiu – I understand is now working with Panos on that side of things. Rather than seeing highlights on a prison dvd player, they’re watching it in real time – and let’s be honest, while Blues have won three of their last five games how many of them have been classics? I wonder if they’d made up their minds they wanted someone who was going to be happier with big names, who was going to play football that would put bums on seats? I can imagine some are going to accuse me of being revisionist but I recall often criticising the standard of play at home games under Rowett – I can remember comparing him to Tony Pulis more than once. Throw in the fact that Rowett had looked to move on from Blues on at least two occasions. You may choose to believe this or not, but Rowett wasn’t just interested in Fulham – he was GONE to Fulham, and only frantic renegotiation of his contract kept him at the club. There were rumours that QPR were interested – the club may not have been approached but I’ve been told Rowett certainly was. 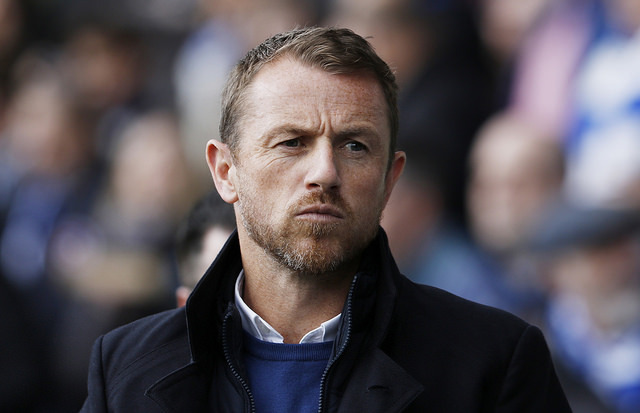 Rowett has always been an ambitious manager – and that ambition could well have caused friction at the club. So is this the start of the bad times again? Well here’s the thing. We don’t know. Zola could come in and be wildly successful, and lead us on a promotion charge, capped off with a Wembley playoff win on penalties – Reece Brown to score the winner. It’s not like it hasn’t happened before. I remember when Trevor Francis got the boot in 2001. Francis could do no wrong – Wonderboy the player back at his spiritual home. Yet three consecutive playoff failures pointed to a man who could only take us so far. There was some outcry when he was sacked, but Bruce came in, bought in some quality – Stern John anybody – and, well, you know the rest. Likewise, I can’t help but think now that Blues should have taken the money for Bruce when Newcastle United came calling. Bruce was at the top then – but he couldn’t push us any further, and the inevitable decline set in. I still think we did well to get as much as we did from Wigan for him. TTA have put their marker down, and have been decisive. Now, they’re going to have to live or die by those decisions – but they’re making them. For the first time in maybe five years we’ve got an owner who is genuinely taking charge – maybe the novelty of that is what is getting to fans? As I’ve often said – we have to wait and see. On another note, people have asked me if I’m going to start Often Partisan up again, and the answer to that question is no. I have no interest in chasing every football story, writing stuff about transfers any more. I am however considering if I need to switch the focus of this blog to just Blues’ ownership travails – what happens in the rest of this month will help decide that. Previous Previous post: The Takeover: How much did Suen pay for it?